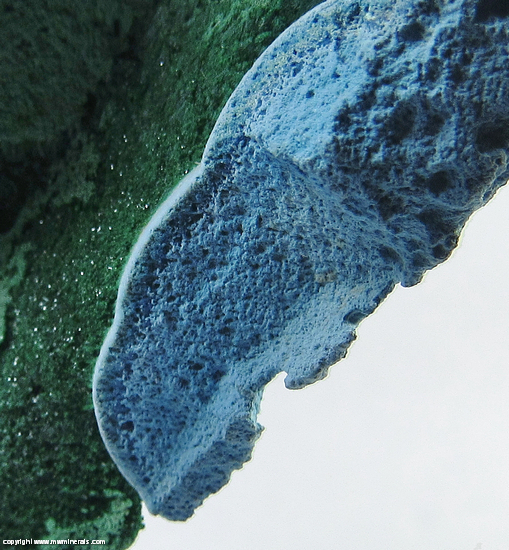 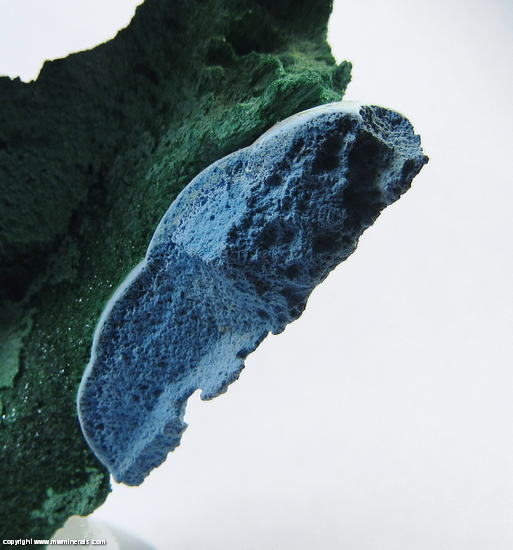 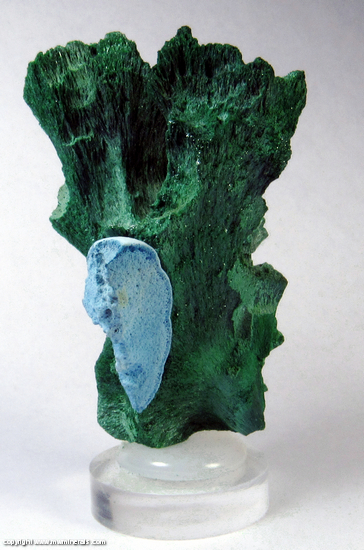 A partial section of a spherical aggregate of sky blue Shattuckite which has been partially encased in vivid green, fibrous Malachite. 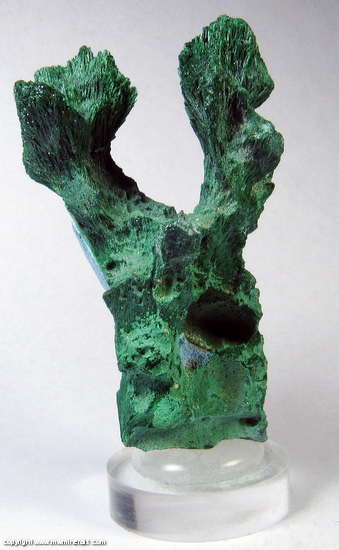 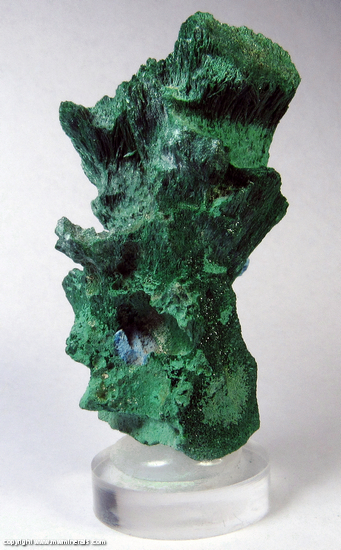 The Malachite has several casts giving it a sculpted appearance. 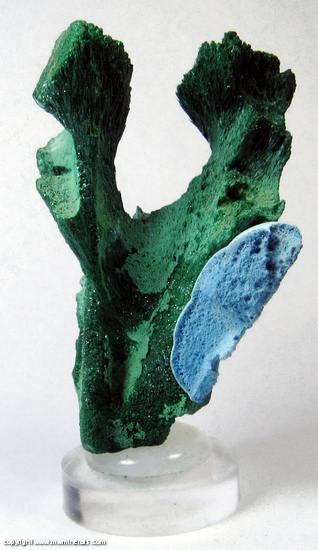 Someone has mounted the specimen on an acrylic base creating an aesthetically pleasing specimen.